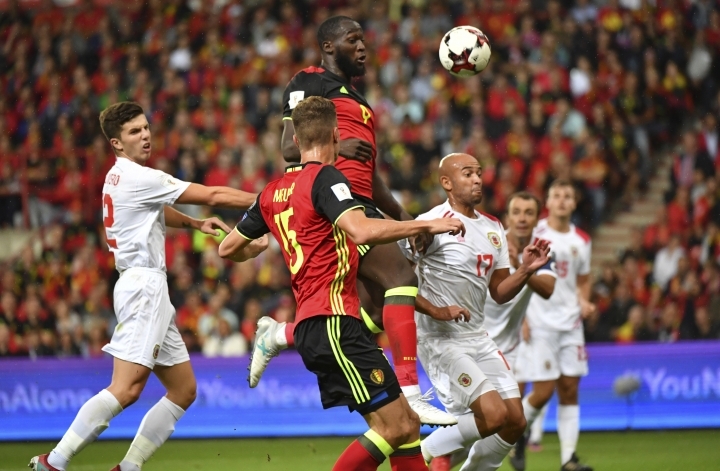 BRUSSELS — With a showtime performance orchestrated by Thomas Meunier against part-timers from Gibraltar, star-studded Belgium produced a 9-0 victory to bring next year's World Cup finals ever closer. PSG's Meunier had three goals and three assists and Romelu Lukaku added three goals of his own in an overall demonstration of flicks, backheels and superior moves. In the other Group H games, Estonia held Greece to a 0-0 draw and Cyprus edged Bosnia-Herzegovina 3-2 as Belgium was able to increase its lead to six points over second-placed Greece. 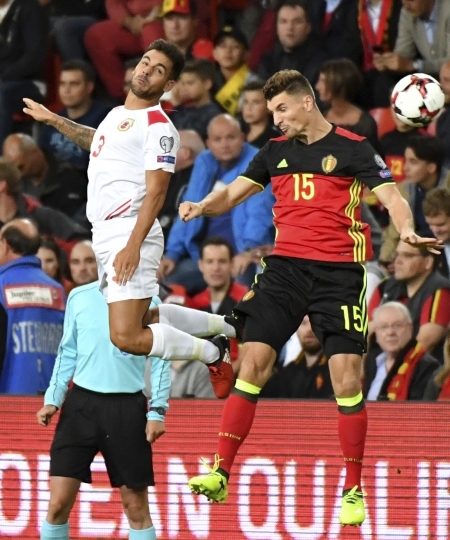 With three games left, Belgium has 19 points, Greece 13, Bosnia 11 and Cyprus 10. Estonia and Gibraltar are at the bottom of the group with 4 and 0 points, respectively.